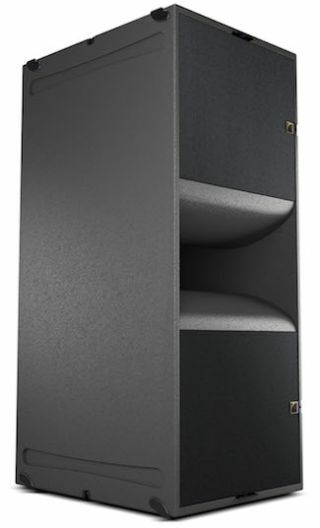 The KS28 subwoofer The What: L-Acoustics will show the KS28, a new reference subwoofer, adding 3dB of SPL (versus the SB28) and exclusively driven by the new LA12X amplified controller at InfoComm 2016. The What Else: The KS28 aims to bring sub performance to a new standard, offering extended bandwidth down to 25Hz, improved low-frequency resolution, exceptional SPL, and tight impact. Weighing 174 pounds (79 kilograms) and epitomizing the ease of use that is the hallmark of an L-Acoustics enclosure, the sub is designed to be rapid and cost-effective to deploy, with all rigging integrated into the box. L-Acoustics is also launching the LA12X, a new amplified controller with 12,000 watts of power, thanks to its smart DSP-controlled Switch Mode Power Supply (SMPS) with Power Factor Correction. Boasting up to 3,300 watts per channel with record hold times, the LA12X is capable of operating from 100 to 240 volts while offering the highest tolerance to unstable mains, according to the company. Universal SMPS ensures the LA12X can be taken around the globe while boosted DSP resources with AVB means the amp is future-ready. The LA12X launch is accompanied by that of the LA-RAK II, an updated touring rack offering worldwide compatibility in one model. The Bottom Line: The duo of KS28 and LA12X aim to set a new benchmark by offering more power and better low-end resolution than other comparable solutions for rental providers and integrators. The KS28 is suitable for performances from classical or contemporary music through to EDM or green field music festivals.